I'm a little behind in uploading my sketches. I'll try to get caught up. A couple of weeks ago I noticed that logging equipment was working in the woods just down the road from our house. 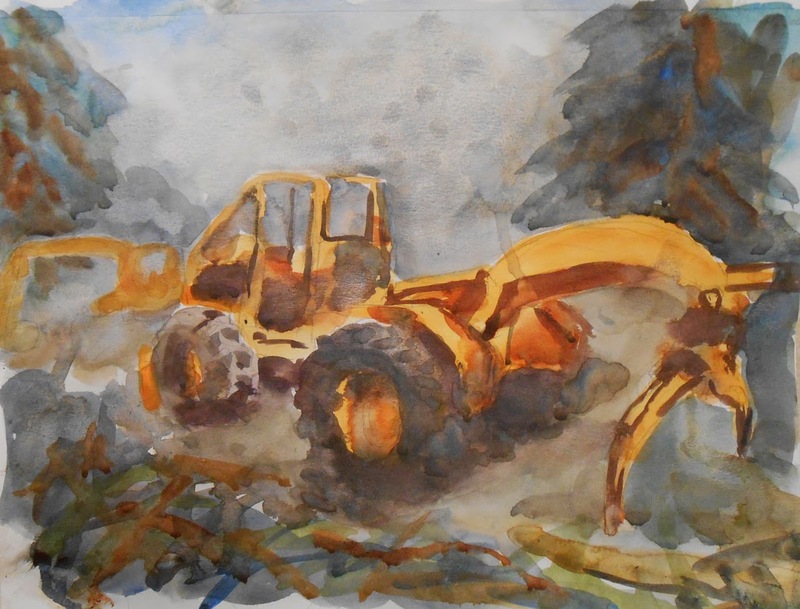 So I climbed through the logging slash and made this sketch of the skidder they used to pull out the logs.